V. Press had a fabulous time at this year's Poetry Book Fair, where we were delighted to share a stand with Mother's Milk Books, next also to Fairacre Press and The Journal. As last year, it was a busy day and one full of poetry buzz. It was wonderful to see so many people interested in and enjoying poetry, with a warm audience too for Jacqui Rowe's V. Press reading from Ransom Notes and Sarah James's Mother's Milk Books reading from Hearth. September and the start of autumn - season of mists, but also a season splashed with colour. 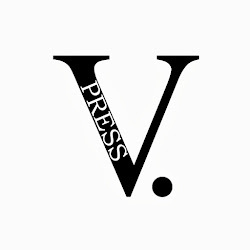 V. Press will be heading up to London for Free Verse Poetry Book Fair in Conway Hall on Saturday (Sept 26). The event is a highlight of the poetry press year for us and we are delighted to be sharing a stand there with Mother's Milk Books. Meanwhile, October sees the official launch of Claire Walker's pamphlet The Girl Who Grew Into a Crocodile. For those in or near Worcestershire, the event is open to the public and full details of the launch on October 10 can be found on Claire's blog here.